Feel safe and secure while storing simple, yet essential items, in the Budget Fanny Pack. The pack is made of 210D polyester material and has a main zippered compartment. The adjustable waist strap extends up to 44 inches in length. 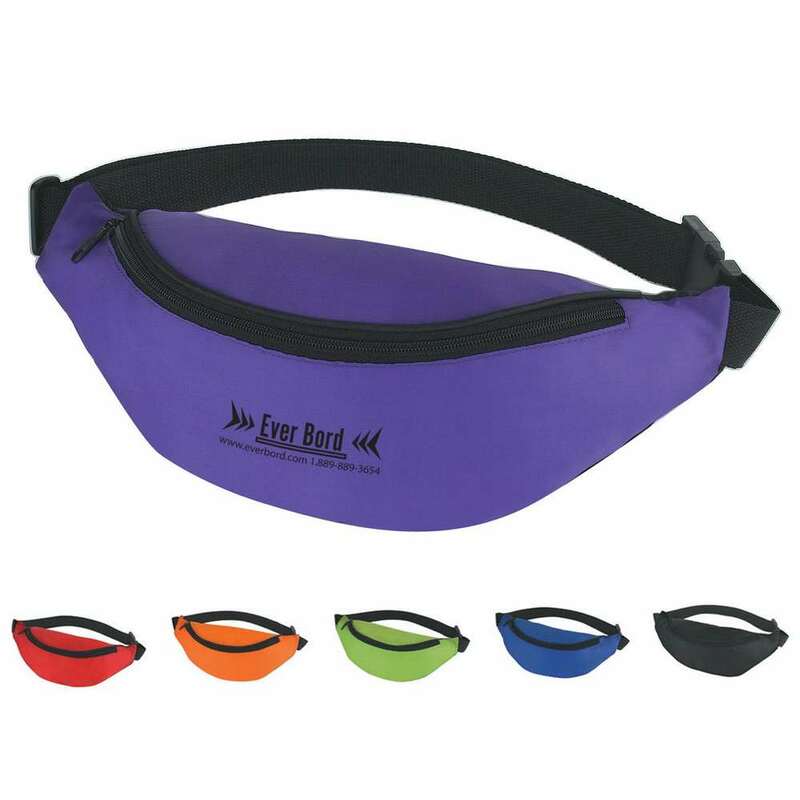 The waist pack comes in royal blue, red, purple, lime green, black, and orange colors, with black trim. Imprint your company’s logo on this convenient bag and give it away at amusement parks, carnivals, and sport events. Your clients will appreciate your thoughtfulness, every time they use the bag.